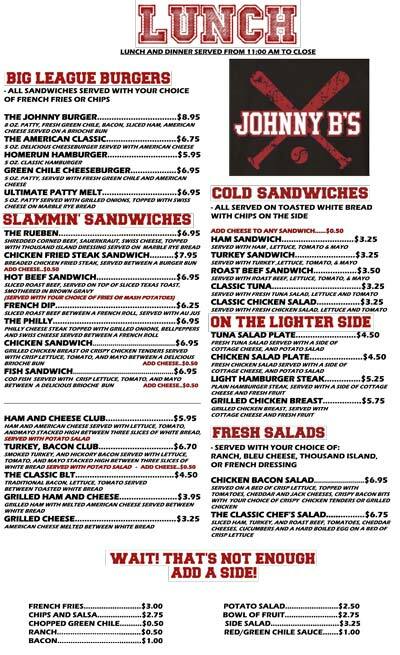 Johnny B’s Restaurant strives for homerun cooking for breakfast, lunch, and dinner. 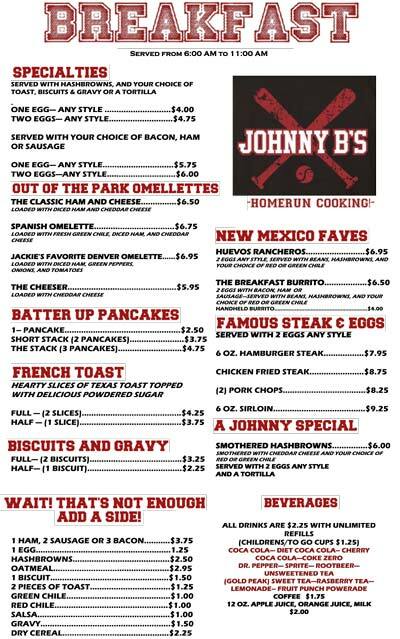 Start your day with an omellette, breakfast burrito, pancakes, French toast, steak and eggs, or biscuits and gravy. We also have sides to add to any meal. Take a midday break with a burger, hot or cold sandwich, light plate, salads, and sides. 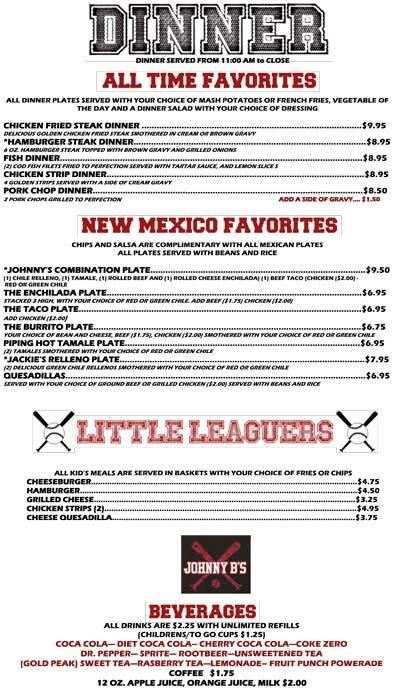 Dinner includes many delicious items to end your day on a good note—try our dinner plates, New Mexico favorites, and several options on the kids menu. All of the lunch menu items are available for dinner as well. View the complete menu below.